The trappings of a successful corporate entity are a large office with cabins and common working areas, a business lounge with a receptionist in attendance, the full suite of services such as pantry and refreshments in-house, fax, photocopy, conference room, meeting room, video and audio conference facilities and full support staff. The bigger the image, the better the impression they create and the more business they get. SMEs can only look on in envy and wish they could create that same image but resources are a limiting factor. This is no longer the case. Even an individual businessman or a recent startup can project an image of being a corporate entity without the associated costs and hassles. Here is how. Location is everything as real estate professionals will tell you and this is even more important for businesses. Small business owners can get the advantage simply by registering for a virtual business address in Kochi with Centre A, located in a prime business area of the city. Just imagine the effect it has on visitors when you have a virtual receptionist in Kochi welcome visitors and show them to the business lounge in Kochi! Visitors are likely to think that the company is prosperous and is a large one and that it would be to their advantage to do business with you on terms that are favorable to you. 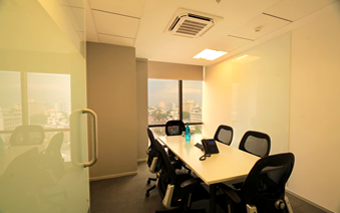 Corporate entities have offices with a large common working area and cabins for executives. SMEs can benefit from the shared office space for rent in Kochi and impress visitors. 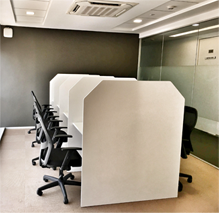 The fully furnished office in Kochi is air conditioned and has facilities comparable to those found in corporate organizations. A conference room and a meeting room equipped with latest audio visual equipment further enhance the image. On a more practical and functional note, the video conferencing Kochi facility and audio conferencing room in Kochi as well as telecom and internet facilities help SMEs rise to the level of corporate enterprises without having to invest. If there is one thing that sets corporate enterprises apart from smaller enterprises, it is the availability of support staff like secretarial, administrative and IT people to attend to requirements when needed. 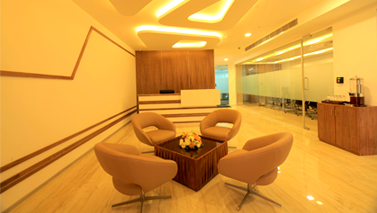 Centre A’s fully furnished office in Cochin has trained and professional people always available on call. In addition, there is a Sky café where businessmen can enjoy a quiet cup of coffee and snacks along with their associates and a pantry with staff to serve refreshments or beverages. With all these facilities available on demand, it is easy for SMEs and small business owners to create the corporate image without investing heavily. Any visitor would be impressed and would decide to do business with you if you go for office space for lease in Kochi offered by Centre A. Get started with a Gold C World membership starting at Rs. 2500 as the basic cost.